John is a licensed funeral director in Minnesota and Wisconsin, who has been a member of the Watkowski-Mulyck Funeral Home staff since 2001. John and his wife Cheryl (nee Volkmann) purchased the funeral home in April 2007. 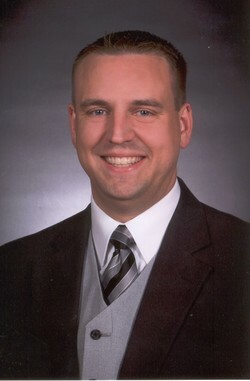 John was born and raised in Winona and is a graduate of Winona Senior High School and Winona State University. He graduated with honors from the Mortuary Science Program of the Milwaukee Area Technical College in West Allis, WI. Following mortuary school, John completed his funeral director apprenticeship with the Krause Funeral Homes of Milwaukee, WI. The Mulycks are proud to continue the funeral home's long tradition of providing excellent service and care to the families they serve in the Winona area. Cheryl was born and raised in Winona, is a graduate of Winona Senior High School, and received her Bachelors and Masters Degrees in Education from Winona State University. Prior to joining the funeral home staff, Cheryl was a Business Education teacher for a number of years with the Portage, WI, school district, and also taught at Hope Lutheran High School in Winona. In addition to owning the funeral home with her husband, John, Cheryl assists with visitations and funerals, as well as being the office manager at the funeral home. 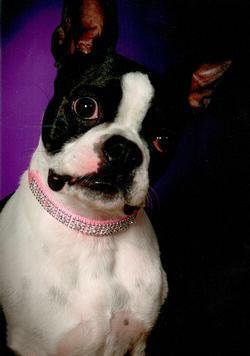 Morticia is the Mulyck's Boston Terrier, and is the funeral home's Hospitality Ambassador. She is affectionately known to her friends as "Tish." Tish can usually be found at the funeral home every day, and loves to greet families and visitors to the funeral home. When requested, she is happy to be a greeter at visitations. When she is not working, Tish enjoys playing and taking a nap in the sunshine.